Making improvements to your home is an excellent way to improve its value. You can ensure that it stays looking great, as well as updating it to keep it modern. However, it's not always a cheap thing to do. Sometimes you might make small changes here and there, which are easy to pay for. However, occasionally you may want to take on a bigger project that will cost you more. Paying for more extensive work to your home isn't as easy as dipping into your savings. There's more work involved in making sure you can meet the costs and complete the work you want. Consider the costs of your next project with these steps. First, you need to create a budget for your home improvements. Planning out how much it will cost helps you to accurately get hold of the finances. You need to start by creating a plan for what you want to do. Consider all the tasks that will need to be completed, from plastering to electrics. Once you know what needs to be done, you can think about the contractors you need to hire and materials you need to buy. After that, you can start comparing prices. Look at different price points and what you'll get for what you can afford. As a general rule, it's always best to pay for home improvements with your savings. If you have the money to do it, there's no need to borrow anything. Using a loan or credit cards could add to your costs and make your project more expensive. However, borrowing can also be a legitimate option. Your project may need to be completed as soon as possible. 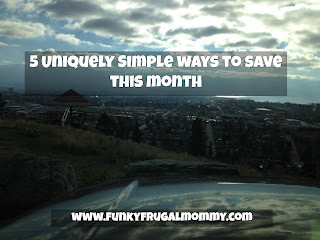 If you don't have time to save, you'll need to borrow some money. There's nothing wrong with taking on some debt if you can pay it back. In fact, it can help to keep your credit score healthy. There are several types of financing you should consider for your home improvements. It's important to look at each option you have to find the best one. You could get a better deal with some types of finance than with others. For example, you can look at online secured loans. You can borrow money against your home and start the application without having to go to a bank. However, you also have credit cards, as well as unsecured loans to consider. If you're going to borrow money for your home improvements, you need to know that you can afford it. To make sure you can, you should work out the full cost of borrowing. You have to consider the interest, as well as any fees you might have to pay. There could be initial costs, as well as monthly costs when you begin to pay the money back. Consider the costs of your home improvements carefully before you start them. Sticking to a budget is essential.